Universal Music Group has re-launched EMI Records in India, in partnership with Bollywood film director Mohit Suri. UMG says that the agreement will ‘cut across film and non–film musical genres’, adding both new and established talent to join the label. Vivendi-owned Universal completed its £1.2bn acquisition of EMI Recorded Music in September 2012, ingesting the huge catalogue and historic brand of the famous British-born music company. However, it later had to divest Parlophone Label Group to rival Warner, which paid £487m for the privilege. UMG held on to The Beatles’ catalogue. 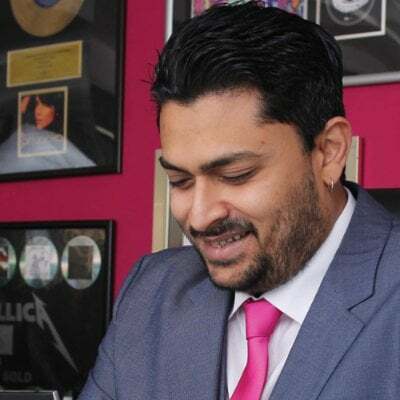 Devraj Sanyal Managing Director and CEO, Universal Music Group South Asia (pictured inset), said: ”We’re immensely proud of our new partnership with Mohit Suri to bring EMI Records back to India. “Mohit has been responsible for some of the biggest Bollywood hits of all time and A&R is right at the heart of Universal Music so this collaboration is the perfect platform for blending our complementary strengths and our shared love of music. Mohit Suri said: “Music and independent artists have been the backbone of my career ever since I started 10 years back. I strongly believe that the music composers, lyricists and singers that I have worked with from all over the world have been the stars of my life. This collaboration with Devraj and his team at Universal Music is the most organic synergy of like-minded people that allows me to continue exploring my love for music on a larger scale. “With our joint expertise we will make EMI Records India a dependable brand through which we will launch and nurture musical talent and simply ‘let the music play’. Culturally, Music has always played an integral role in our lives, particularly through the Indian Film Industry popularly known as `Bollywood’.